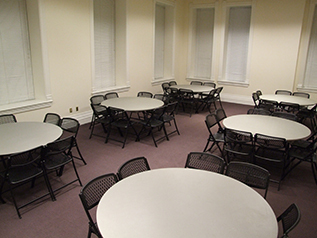 The Bullock Room can accommodate seating for a theater set up (chairs only) of up to 75, a classroom set up (tables & chairs) of up to 60, and a dinner setting of up to 56. 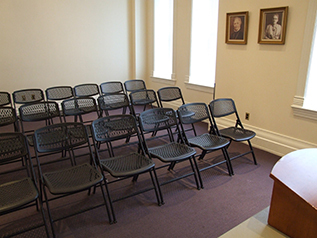 The Young Special Events Room can accommodate seating for a theater set up (chairs only) of up to 90, a classroom set up (tables & chairs) of up to 70, and a dinner setting of up to 72. 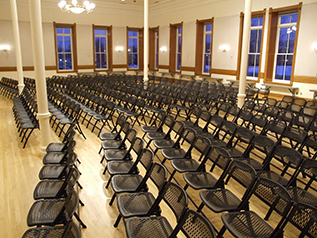 The Brimhall Room can accommodate seating for a theater set up (chairs only) of up to 75, a classroom set up (tables & chairs) of up to 60, and a dinner setting of up to 56. 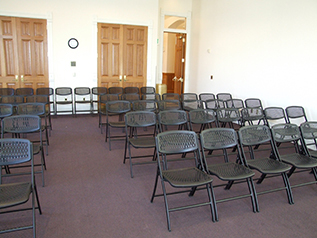 Use of the Brimhall Room is offered with rental of the Ballroom. Reservations for the Brimhall Room may not be made more than 30 days in advance in the event it is needed for a Ballroom rental. 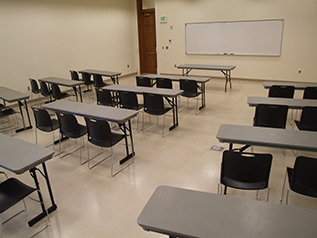 The Young-Card Room can accommodate seating for a theater set up (chairs only) of up to 30 and a classroom set up (tables & chairs) of up to 25. 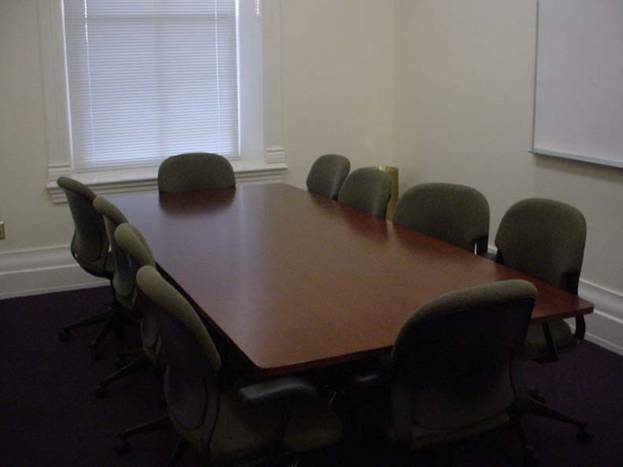 The Maeser Room can accommodate a boardroom style set up for 10. The Ballroom can host a dinner setting for up to 350 guests depending on the amount of staging, serving area, or dance floor that your event would require. It can accommodate theater style (chairs only) seating for up to 500 depending on the amount of staging, serving area, or display area that your event would require. We provide the initial set up of the room and the take down. The use of the kitchen and all available audiovisual equipment is offered at no additional cost. We do not offer services for decorations, linens, or catering. There are no additional fees or restrictions for using third party services.